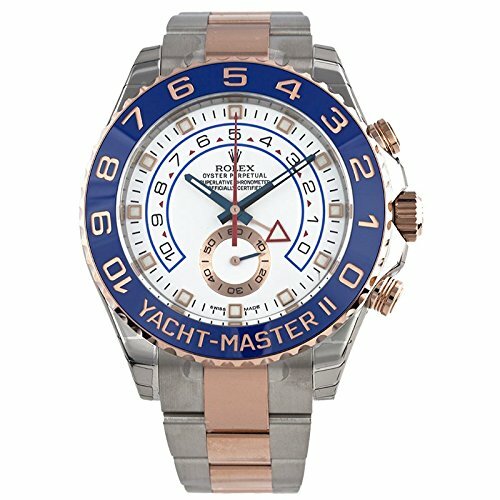 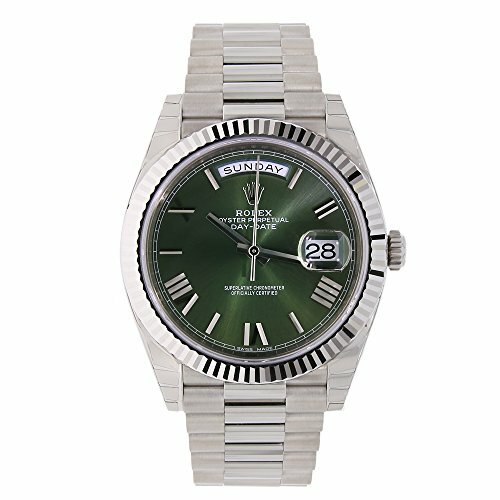 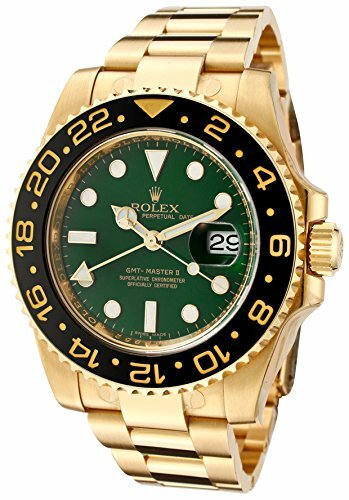 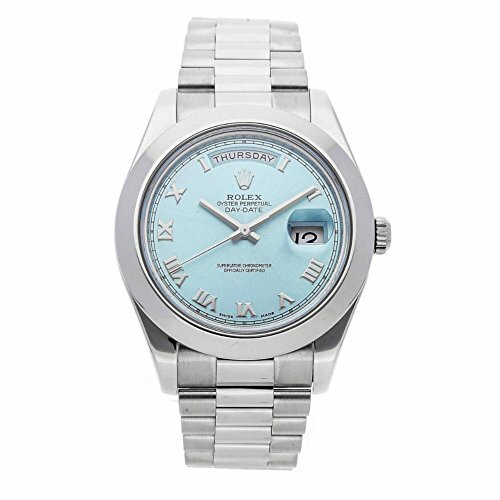 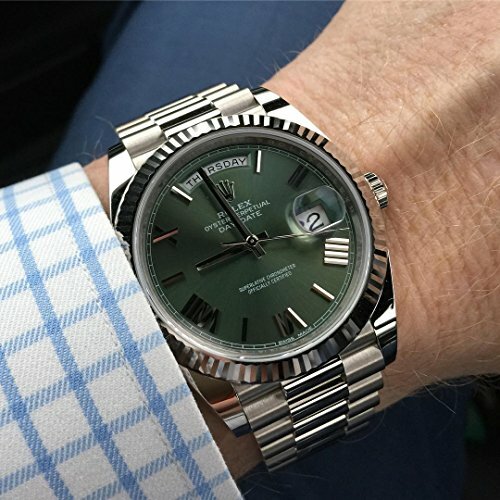 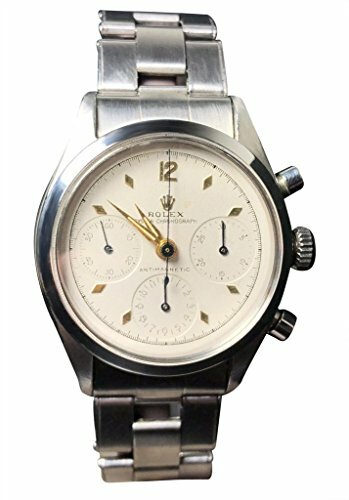 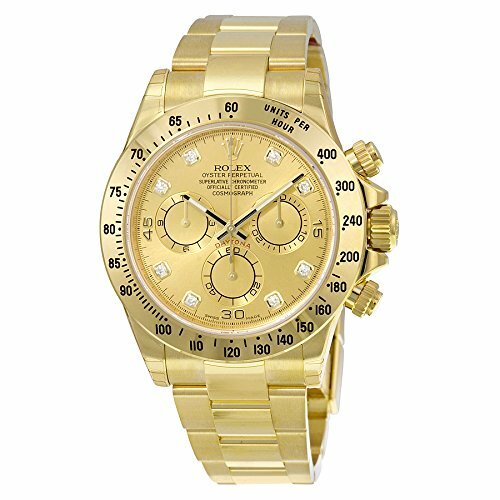 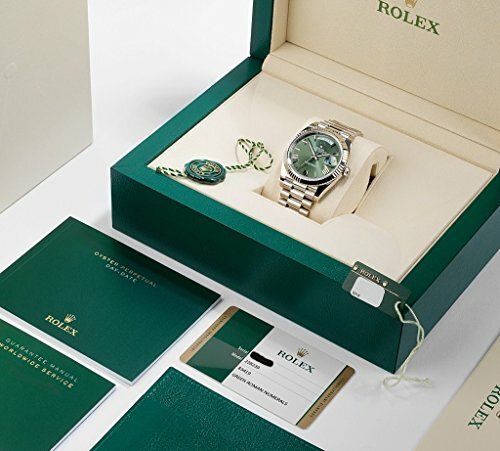 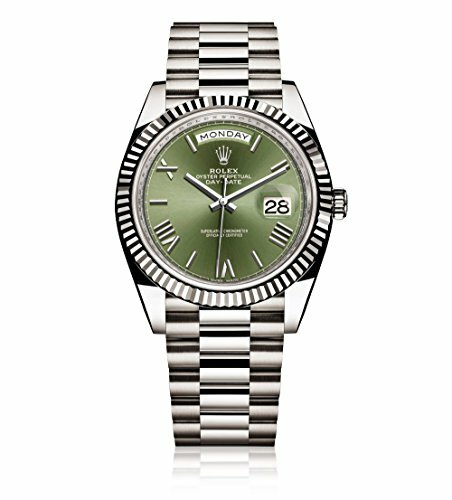 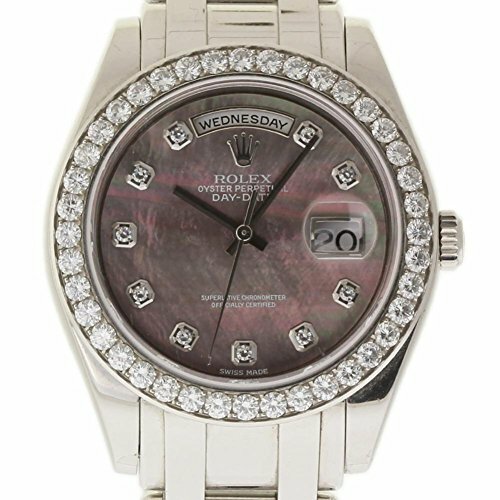 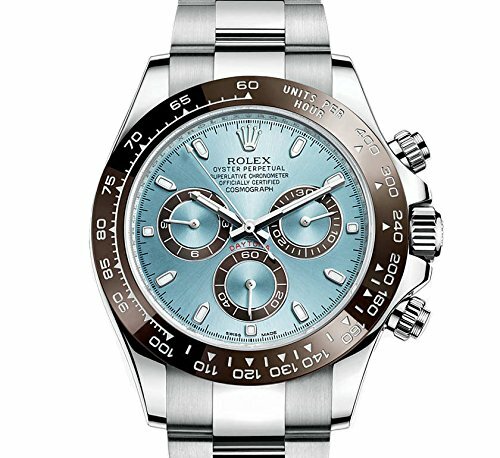 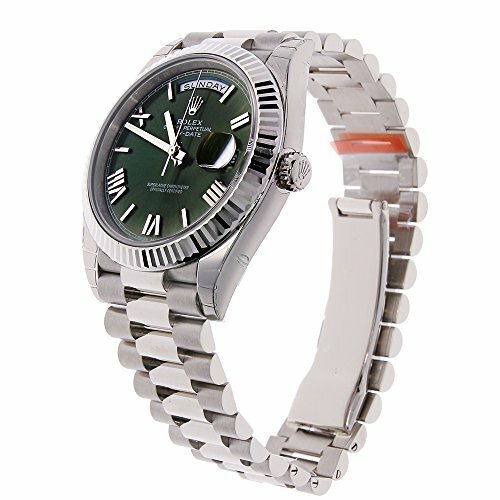 40mm 18K white gold case, screw-down back with Rolex fluting, screw-down crown with twinlock double waterproofness system, fluted bezel, scratch-resistant double anti-reflective sapphire crystal with cyclops lens over the date, olive green dial, bevelled deconstructed Roman numerals, Rolex calibre 3255 automatic movement, 70 hours of power reserve, President bracelet, concealed folding Crownclasp buckle. 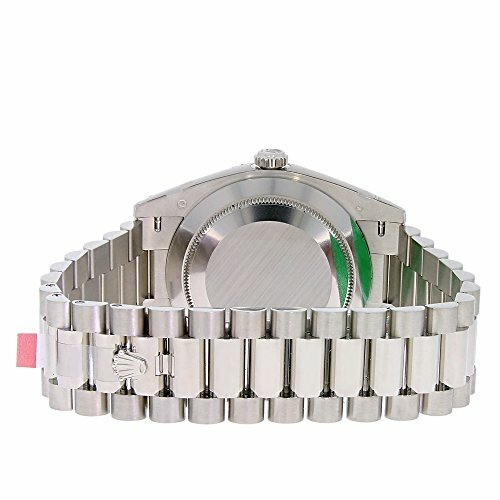 Waterproof to 100 meters. 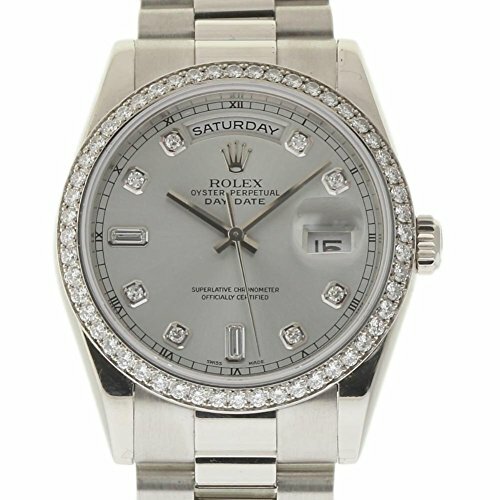 Functions Centre Hour, Minute And Seconds Hands Instantaneous Day And Date In Apertures, Unrestricted Rapid-Setting. 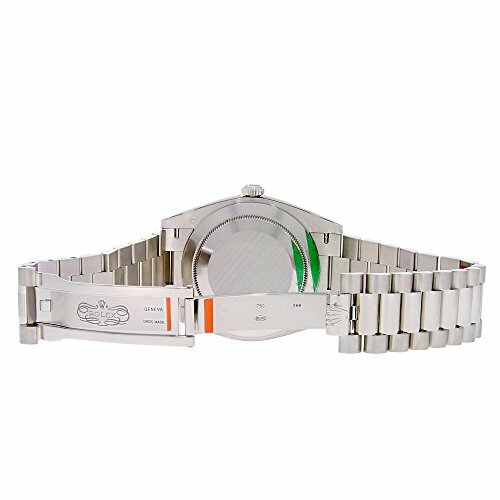 Stop-Seconds for Precise Time Setting.